General ladies and gentleman’s clothing alterations, high class garments, invisible mending, leather alterations and leather remodeling. We work on also vintage clothing, bridal wear, costumes and very intricately designed garments. 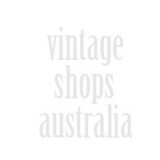 Selling vintage and retro clothing, accessories and jewellery. Hire period costumes… 40’s, 50’s, 60’s, 70’s and 80’s party dress up. Provides alteration and mending services for Vintage Clothing . Also works with leather and does invisible mending.